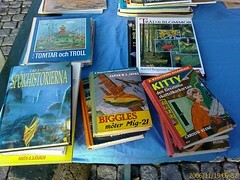 Last week while I was in Sandviken, Sweden on an ARION visit, I wandered into the local public library to go online. There was some sort of public reading happening and in the interval, just as I was leaving, a girl began to sing with guitar and harmonica. The rather murky film clip does not do her justice, but I predict that sooner rather than later there will be more clips of this singer on youtube and various opportunities to download her music. The young-adult-book focused event, based on three Random House Children�s Books titles, follows up the groundbreaking Book Video Awards event from this past May; while the initial Book Video Awards celebrated videos that promoted adult novels, the videos in this round are based on young-adult titles from authors Meg Rosoff, Markus Zusak and Libba Bray. Notably, all three novels�and the films derived from them�feature powerful, not particularly childlike themes (war, loss and death feature prominently in all three) and spotlight young, female protagonists. Children representing all 32 local authority areas in Scotland were involved in the inaugural Royal Mail Awards for Scottish Children�s Books, organised by BRAW (Books Reading And Writing) the Scottish children�s books arm of the Scottish Book Trust. 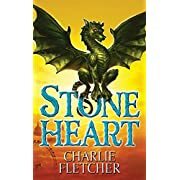 The awards, which are supported by the Times Educational Supplement Scotland, are an evolution of the Scottish Arts Council Children�s Book of the Year, previous winners of which include Nicola Morgan, Harry Horse and Elizabeth Laird. Allan Ahlberg is currently rehearsing with 45 children from Nethergreen Junior School, Sheffield for a first ever performance of his �Please Mrs Butler Songbook� (Puffin). The performance, to be held at the Pomegranate Theatre, Chesterfield on Monday 4 December is the final date in the Children�s Bookshow: Poetry Matters � an annual tour of children�s poets and authors. The �Please Mrs Butler Songbook� is based on Allan�s poetry collection �Please Mrs Butler� and was set to music by British composer Colin Matthews. Scott Pack has a 'rant about proofs'. Wendy Cooling has been awarded the Eleanor Farjeon award for a life spent promoting children's literature. 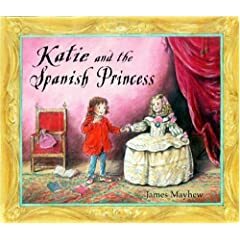 The CILIP Carnegie Kate Greenaway Anniversary panel will meet in early December to decide two Top 10 lists � one for each award. The public will be able public to vote for their favourite from the lists. Voting will run from April to 21 June, when the public�s favourites will be announced. The panel will use nominations with supporting evidence, submitted by the public, which will help in their decision. The panel�s decision will be one of a number of outstanding possible Top 10s. We plan to allow everyone to share their �alternative� lists. After a brief false start in a university library, Colin soon discovered his vocation as a children�s librarian - a job he has been doing in various guises since 1987. Colin is currently assistant head of libraries in North Lincolnshire, with responsibility for children�s and young people�s services. He is passionate about sharing his enthusiasm for books and reading with children and young people. 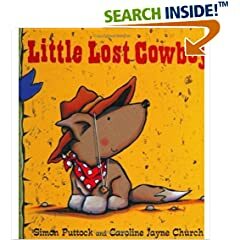 Colin is a compulsive reader, and has been fascinated by children�s books for as long as he can remember. 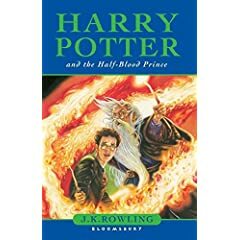 His two children are now of just the right ages to have very strong opinions on books, and since they are often reading the same book at the same time, this makes for some interesting debates! 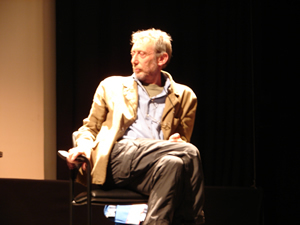 Colin is intensely proud to have twice been a CILIP CKG judge � in 1991 and 1999, and to have been the Chair of the judging panel for the 2003 medals. 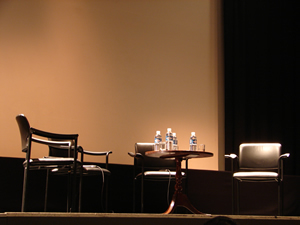 Since then he have continued his involvement by speaking on the Carnegie judging process at the annual judges� briefing. Jonathan Douglas is Head of Policy Development at the Museums, Libraries and Archives Council (MLA), where he has also been Head of Learning and Access. In January 2007 he will become the Director of the National Literacy Trust. He has chaired the Children and Literature in London for London Arts. 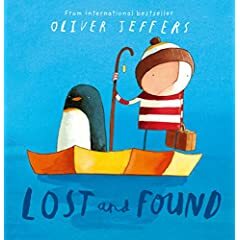 He has been a member of the Children�s Book Circle Committee and has been a Chair of the London and South East branch of the Youth Libraries Group. Before working at MLA, Jonathan was Adviser for Youth and Schools Libraries at the Chartered Institute of Library and Information Professionals, where he spearheaded the influential �Start with the Child� report. Jonathan has worked in Westminster libraries as a children�s librarian and children�s services team leader. As National Year of Reading Coordinator he initiated an exciting project across libraries, education and the arts. Nicolette Jones is a writer and freelance journalist and the children's books reviewer for The Sunday Times. 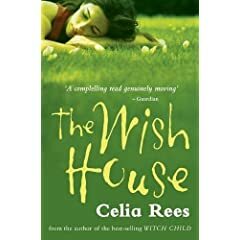 She chaired the committee that chose the 2005-7 Children's Laureate, has judged the Whitbread Children�s Novel and the Orange Prize for Fiction, will be a judge of 2007 Branford Boase Award, and is a trustee of the library development body The Reading Agency. She was educated at St. Hilda's College, Oxford, and Yale University, where she was a Henry Fellow in the Graduate School of English. 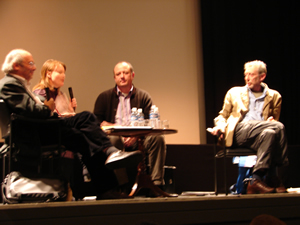 She collaborated with Raymond Briggs on an overview of his work, Blooming Books, published by Cape in 2003. Her book about the Victorian philanthropist Samuel Plimsoll and his campaign on behalf of sailors, The Plimsoll Sensation: The Great Campaign to Save Lives at Sea (Little, Brown) was published in June 2006 and featured as a Radio 4 Book of the Week. Teresa Scragg has been involved with children's books and libraries for over 30 years. Teresa began her career with Birmingham Libraries as a library assistant in a Branch Library, and then went to Loughborough University to take a degree in librarianship, specialising in work with children and young people. 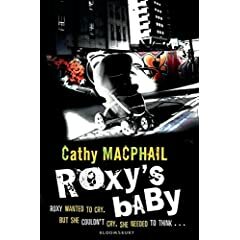 From 1981, she worked in a number of specialist posts in Birmingham, including Deputy in the Central Children's Library, Children's Librarian for the Inner Ring Zone, and Children and Youth Librarian with special responsibility for children under five. She was involved in the pilot Bookstart project in Birmingham in 1992, and has continued to be an ardent supporter of projects to encourage children to read and use libraries from the earliest age. As Head of Children's and Schools Services in Solihull in the West Midlands from 1998, Teresa was responsible for library services to children and young people, including out of school hours learning, reader development and family learning, and was also a member of the Libraries Management Team. Her current post is Early Years and Childcare Manager in Solihull, and she is closely involved with the Every Child Matters, Change for Children agenda, particularly around early education, childcare, and playwork. 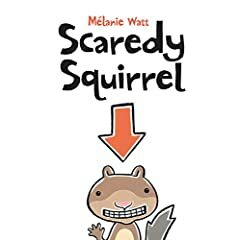 She has been involved with National Youth Libraries Group for 7 years, and was until 2004 the Co-ordinator of the CILIP Carnegie and Kate Greenaway Children's Book Awards. She was the Chair of the judging panel for the awards in 2006. 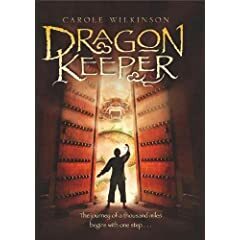 Sharon is past Chair of the CILIP Youth Libraries Group and was Chair of the CILIP Carnegie and Kate Greenaway judges for 2005. Her work with Youth Libraries Group has included being National Rep for the London & SE Branch, helping to create the new South East Branch and serving as their National Rep. On National YLG Committee, she has worked as Umbrella Conference Organizer, National Conference Manager, Communications Sub-Group Officer, Vice Chair and Chair. Working with books since 1966, with a career in libraries, publishing and bookselling in New York, Dorset, London, and Kent includes being Head of Children�s Library Services, Head of a School Library Service, editor of a review journal of children�s and educational publications and a regular freelance worker / writer on book and library issues. As a postgraduate library student Sharon choose the option in Children�s Literature and children�s books continue to be a vital interest. She was honoured to be a Whitbread Children�s Book Award judge and a member of the Children�s Laureate selection team in 2005. Now an independent consultant, books related projects include acting as an external examiner, working for regional agencies, doing project research, arranging study tours, and recently filming with Living Television. For the last 10 years Wayne Winstone has worked for Ottakar's leading the Children�s and Non Book strategy, which contributed 25% of total Ottakar's sales. 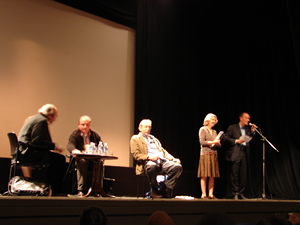 In 2001 Wayne was made Children�s Director the first appointment of its kind in bookselling and a testament to Ottakar's commitment in Children�s Bookselling. Post acquisition Wayne now works for Waterstones in a newly created role as Children�s Category Manager heading up a department of 10. Ottakar's won the Hachette Children�s Book Prize two years in succession. The Gruffalo illustrator has been commissioned by Chancellor Gordon Brown to design his official Christmas card and children's books will be the theme of the Chancellor's Christmas party for children, to be hosted by the charity Booktrust. 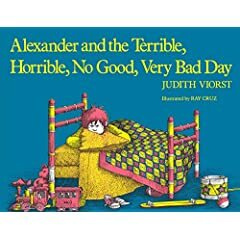 Judith Viorst's 2 million plus selling children's book, Alexander and the Terrible, Horrible, No Good, Very Bad Day, has been acquired by Columbia Pictures. 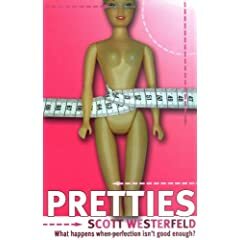 Mike Bender is penning the adaptation and Neil Moritz is set to produce. I updated the front page with a new ACHUKA Choice (the fantastic information book PICK ME UP from Dorling Kindersley) and a new Site of the Week (a newly designed website from Malcolm Rose) just beofre I left for Sweden, but to my horror I've just seen that I must have forgotten to ftp the new file before leaving for Sweden. Nothing I can do now except apologise. Anyone interested in finding out what I'm doing in Sweden can check here! Although the visit is not related to children's books directly, I'm hoping to pick up some ideas and insight into the way schools and children use computers and websites which will help me finetune some plans I have for ACHUKA development in 2007, the year in which we celebrate our tenth birthday. Malcolm Rose has a newly designed website. It's our current Site of the Week. Apologies for lack of eLetter update. I'm off to Sweden for a week, so there won't be another update until my return. I hope to be able blog essential news while I'm away. McGowan is excellent on the anxieties of teenage life and writes scalpel-sharp dialogue, especially the ongoing internal debate between Hector and the amoral, self-serving lodger in his head. Henry's voice is perhaps the richest pleasure in the book, veering unpredictably between gross lasciviousness, erudition, modern slang and Jacobean verse... ...Henry Tumour is a dirty, delicate and uneasy novel that dramatises some big issues. Excellent. I attended two events last night. The launch of the Youth Festival at l' 'Institut Francais and Egmont's annual author party. 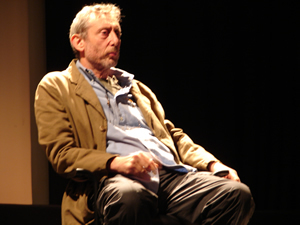 At the first, Michael Rosen and Carl Norac were in conversation with Quentin Blake in front of an audience consisting mainly of schoolchildren from Hackney. 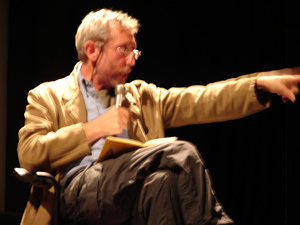 Rosen was on fine eye-popping form and finished with a reading of one of his best-known poems, concerning the difficulties of a teacher attempting to take the register. Unfortunately, as I had another event to get to (see further down), I was unable to stay for the cocktail reception. 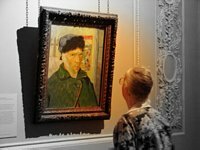 The Egmont party was held at The Courtauld Institute of Art Gallery. It was a fine venue, with so many of the world's best-loved paintings on show (see Shirley Hughes scrutinising Van Gogh's cut-ear painting) and views of the ice skating out of the window. ACHUKA achieved over a million pageviews during October (pageviews, not hits), so I know it's popular, but given the reluctance of ACHUKA's audience to engage in online discussion and feedback (notwithstanding the significant support over the recent issue of proofs), it's always good to meet authors and illustrators and hear how much they use and appreciate the site. Paul Howard told me that he has ACHUKA set as his home page. And Beverly Birch said that she was inundated with emails after we featured Egmont's microsite promoting her new novel. By 2010, one in five school children in the UK will be from Black and Minority Ethnic (BME) backgrounds, a reality not reflected in the books currently produced. Publishing is a notoriously white, middle class profession, which inevitably affects the acquisition and editorial process for stories written by authors from outside of the dominant culture. In this talk, Laura Atkins reflected on her experiences editing multicultural picture books, and discussed her research on how the publication process has affected children�s books written by non-white authors in the UK. The language Klein uses is a problem at times. She scatters many quotations from Hamlet, and it's fun to spot them. 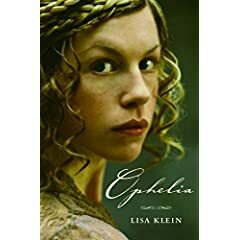 On the other hand, she's trying to show us that everything is happening a long time ago, and this leads to a kind of grandiloquence, a stiffness and formality that make it hard on occasion to get close to the characters. This, for instance, is Ophelia talking to Hamlet: "In due season, all that lives returns to dust, making the earth fecund with life. Smell how the air tonight is pregnant with the flowers' blooms and their bee-sought sweetness." There are too many clich? and a plodding weight to the prose, but this won't stop readers revelling in a fascinating sidelight on Hamlet. 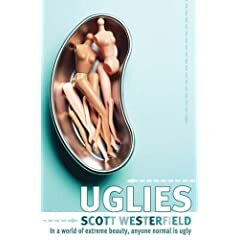 That it is children�s authors rather than adult ones who address the big questions about the way we live now is beyond question, but few have captured the Zeitgeist quite like Scott Westerfeld. 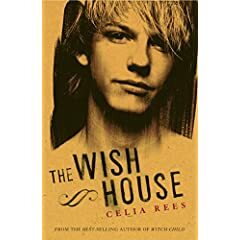 ACHUKA is delighted to see that Wish House by Celia Rees (published in the UK in hardback last year, in paperback this year) is included in Amazon.com's (10) Best Books of 2006. 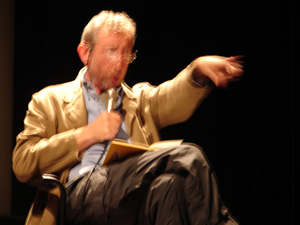 Belgian poet and author Carl Norac will be in London on Wednesday 15 November to perform alongside one of the Michael Rosen. Quentin Blake will chair the event, which is part of The Children�s Bookshow: Poetry Matters. Carl Norac, whose most recent work for children published in the UK includes �My Daddy is a Giant� and �Mummy is Magic� (Macmillan) has never before performed at a children�s event in the UK. To accompany the Bookshow, Barn Owl Books will publish a comprehensive and exciting new guide to children�s poetry. 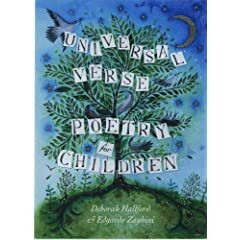 Universal Verse: Poetry for Children brings together over 200 lively reviews reflecting the best work of individual poets and anthology collections currently available in print within the UK. The book is edited by Deborah Hallford and Edgardo Zaghini who produced the highly acclaimed Outside In: Children's Books in Translation (Milet) which accompanied the Bookshow tour of children's writers from abroad in 2005. Reading picture books to 18- to 30-month-old toddlers helps them learn things about the real world, psychologists find [in a study published in Developmental Psychology]. 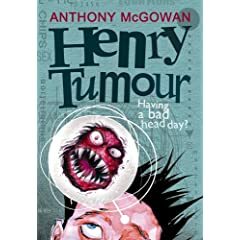 Henry Tumour by Anthony McGowan has won the 2006 Booktrust Teenage Award. Hilda Van Stockum, who died yesterday at 98, was an author and illustrator of children's books, including "The Winged Watchman" (1962), a dramatic tale based on real-life events in which the Dutch resistance used windmills to send coded messages during World War II. Van Stockum's native Netherlands was the setting for many of her books, including her first, "A Day on Skates," which received a Newberry citation in 1935. Subtitled "The Story of a Dutch Picnic," "A Day on Skates" featured an introduction by Edna St. Vincent Millay, Van Stockum's aunt by marriage. Monday, October 9, 2006. Mark speaks with author Ian Whybrow about writing children�s books that adults will enjoy reading (over and over) and gives us some background on the creation of our favourite Little Wolf. This podcast first appeared on justonemorebook.com nearly a month ago, but we've only just become aware of the site, which contains lots of other podcasts to listen to as well as profiles on dozens of authors and much else. L Lee Lowe has posted the start of a Christmas story on her Lowebrow blog, and is inviting people, particularly youung writers, to contribute their own endings. ...some 15 years after his death, Roald Dahl is to be the subject of a biography. Donald Sturrock... has been chosen by the Dahl family to write an authorized life for publication in 2009. Pioneering screenwriter Nigel Kneale, best known for the Quatermass TV serials and films that began in the 1950s, has died at the age of 84. His wife Judith Kerr is the creator of the Mog children's books. The couple had two children: Matthew Kneale, who won the Whitbread Book of the Year award for his novel English Passengers, and Tacy Kneale, a special effects designer who has worked on the Harry Potter films.